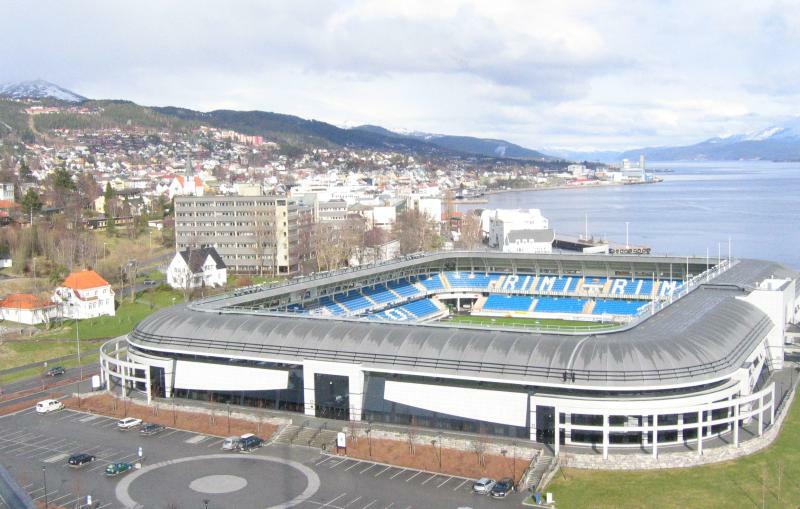 Aker Stadion, before known as Molde Stadion, was built in 1997 at a cost of NOK 212 million. 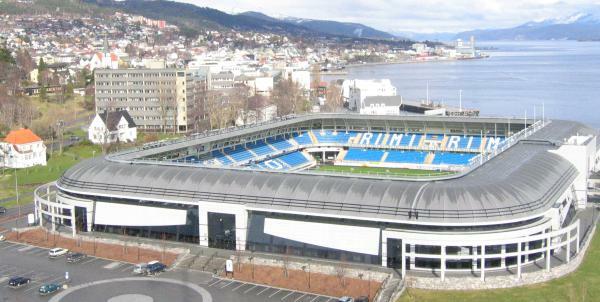 The stadium officially opened on the 18th of April 1998 with a match between Molde and Lillestrøm SK. In 2006 the stadium was renamed Aker Stadion after the company of club-owner Kjell Inge Røkke. 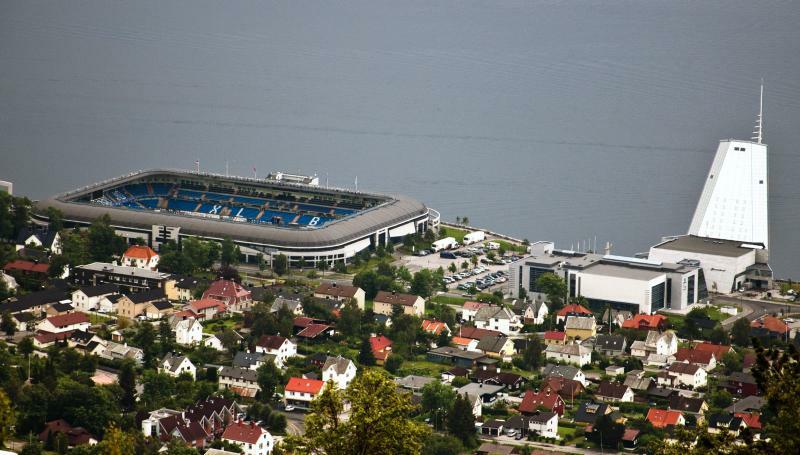 Aker Stadion is located picturesquely on the shore of the Romsdalsfjord just a few hundred metres west of the town centre of Molde. The stadium lies right next to the Rica Seilet Hotel, which has become one of the town’s principal landmarks. Due to the small size of the town it will be easy to find the stadium, either by foot from the centre or by car. Tickets for Molde FK games can be bought online via Billettluka.no, at the club shop at the stadium, or at the gates of the stadium on the day of the match. Molde’s recent successes have significantly increased attendances and the club now regularly sells out matches, though tickets will be easily available in pre-sale for most matches. A seat ranges in price from NOK 180.00 to NOK 450.00. A standing place costs NOK 160.00. Moldefk.no – Official website of Molde FK. Visitmolde.com – Official travel guide for the Molde region.